How Can My Child Make a Friend? Friendship is one of the most valued and cherished relationships a person can experience. Childhood friendships in particular are something most of us can look back on with great fondness. Perhaps that’s why when our children do not seem to be able to form the same type of bonds, it can be a bit heartbreaking. When trying to help your child make friends, it’s important to take a step back and figure out what actually constitutes a friendship. Of course, it is comprised of values such as kindness and empathy but at it’s most basic level, the foundation for every friendship is simply having shared interests with another person. These common experiences provide the fodder for inside jokes, confiding in each other and sharing their feelings. You can’t get to the level of sharing and exchanging ideas without first having something to talk about! When children start developing friendships around preschool age, their common interests outweigh their differences. Almost all preschoolers enjoy running, climbing and engaging in some sort of pretend play. This is also the age when everyone is mandated by adults to be nice to each other and is invited to all the birthday parties. As children progress to upper elementary, their interests become more defined and cliques start to form. It becomes harder to enter into new friend groups and suddenly kids may feel isolated in ways they haven’t before. This is when it helps to get involved in activities outside of school. 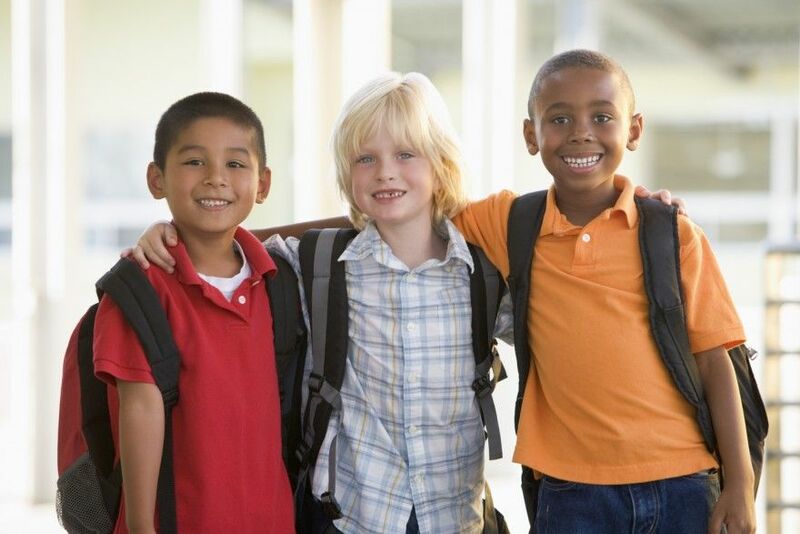 Finding an extracurricular club, sport, or class in which there are plenty of opportunities to socialize with a smaller subset of children can be key to children easing their way into forming new peer connections or strengthening existing ones. The activity should be something they like and one that meets with regularity. Interacting with the other parents will make connecting outside of that activity even easier. Watch the social scene and think about whether a play date would help enhance any potential friendships. As you observe your child in these social situations, if you see that she is not fitting in or she confides in you that she doesn’t feel comfortable, explore the possible reasons why. Look for any social barriers that are causing her to feel this way. It’s possible that your child needs emotional support or skill building when in social settings. The more information you have, the more adept you will be at tackling obstacles and increasing your child’s social confidence. The goal is not to be the most popular kid in town or even to find that coveted “best friend” yet. However, having a true friendship is a great pleasure in a child’s life that has implications for future relationships, self-regulation and even academic success. If friendships are not forming organically, don’t be afraid to give both the internal emotional support as well as the external structure of an environment rich with preferred social opportunities.